Where can I buy cheap tea? Vera Moda Tea Dress - Better Than HALF PRICE! Studies show if drinking tea regularly reduces the risk of Alzheimer’s and diabetes, plus you will also have healthier gums and teeth as well as stronger bones. Tea is rich in flavonoids, which is a class of antioxidants. “True teas,” like green, white, black, oolong teas, come from the leaves of the tea plant d called Camellia sinensis. Rooibos and chamomile, which a lot of us call herbal teas, are actually tisanes or infusions. The differences in true teas result from how the tea plant’s leaves are processed. Black teas are exposed to oxygen or oxidized a few hours before they are rolled and dried, deepening their color, while green and white teas are simply steamed, rolled and dried. Think of oolongs as hybrids; their leaves are partially oxidized before drying. Regardless of the variety, if you want to maximise the power of its flavonoids, drink tea freshly brewed. If you want to keep a batch of cold tea in your refrigerator, try adding a little lemon juice. The citric acid and vitamin C of lemon, lime or orange, will help preserve the flavonoids. Not all teas are created equally. There are literally hundreds of tea options to choose from online and it can be difficult to determine which type of tea best fits your nutrition and health requirements. If you’re after a tea to help you curb cravings, lose weight, boost your metabolism or ease the effects of overeating, oolong tea, mint tea, green tea, and an herbal tea blend with fennel seeds, lemon peel, and a bay leaf. 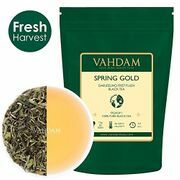 If you’re looking for cheap tea deals and the best place to buy tea online in the UK, you’ve come to the right place! 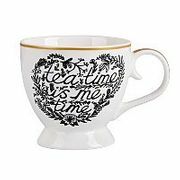 Here at Latest Deals you’ll find money-saving deals from loose leaf tea and organic loose leaf tea UK sale to afternoon tea special offers. Out savvy team of bargain hunters are always on the lookout to find the best possible tea deals and promos online. Enjoy free tea and fantastic discounts from Asda, Morrisons, Argos, Tesco, and Amazon. Where can I find cheap tea deals? Tesco’s own brand of loose leaf tea is one of the cheapest out there at just £1.29. 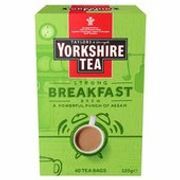 You can also save on other brands like Twinings, Yorkshire Tea and Taj Mahal with their half price deals. While you can get decent savings of up to 90p on their organic tea offers on brands like Pukka and Clipper. You can also find a wide selection of loose and organic tea at Morrisons, from every day to premium. They usually have offers as well on Twinings where you can buy 2 £3 on selected flavours of herbal tea. Asda on the other hand offers rollback on some of their tea selection where you can save up to 99p. If you’re looking for a wide array of tea to choose from, better head on to Waitrose. They have all sorts of teas from decaffeinated tea to fruit and herbal infusions. You can also save up to 40% off on Twinings while you can get a discount of as much as £2 or 25% off on other brands. Where can I find afternoon tea offers? An afternoon tea experience is designed to give you a taste of the high life and there's nothing like indulging yourself with a few of your favourite things to make the perfect afternoon. You can find great savings at afternoon tea Groupon offers such asup to 58% off chocolate afternoon tea at the Grand Royale London and up to 50% off afternoon tea at the Tower hotel. You can also get a sweet discount of £10 on afternoon tea special offers at Argos. They have everything from a traditional afternoon to a stylish London afternoon tea and bundled afternoon tea offers bundled with a spa day or country house retreat. If you want a well-done scone, be prepared to be impressed at The Ritz traditional afternoon tea deal where they’ll serve you fresh from the oven scones with a generous offering of strawberry preserve and Cornish clotted cream for £54. For families, the Langham afternoon tea offer includes their cold chocolate drink served in a cone, sandwiches, Maltesers chocolate mousse and so much more. Hundreds and thousands line up for these, plus they give complimentary Hamleys teddy bear for every child. Cost is £27.20 per child and £49 per adult. A New Jersey-based company owned by a mother and sons team, Adagio Teas specializes in an extensive variety of loose leaf teas and teaware. They directly source from the artisan grower. Their teas are always fresh and have a superb flavour. You can find almost any kind of tea from herbals to masters’ collections. They also heavily depend on reviews, which are very helpful when you’re buying teas online. They also include details about the origin of the tea and brewing guides. Samples are available and they ship internationally. Teabox is an India based company that specializes in top quality single estate Indian grown loose leaf teas. They source only the freshest teas from Indian tea estates in Assam, the Nilgiris and Darjeeling as well as freshest teas from Nepal. Darjeeling and Nilgiri black teas are some of customer favourites. And you can’t make a good English Breakfast tea without a good Assam. They also ship internationally. The online tea shop specializes in Indian teas as well but based in Denver, USA. They focus on offering 100% organic fresh tea. Teatulia teas are single garden teas, grown and hand plucked in the beautiful tea gardens of the Kazi & Kazi Tea Estate in Northern Bangladesh, then directly delivered to their consumer. As tea gardens go, this one is fairly new. It was cultivated from virgin land nestled against the Himalayas to the North and the Brahmaputra and Ganges Rivers to the South. They offer a wide selection of teas and have won many awards. The complex flavors of tea varies widely with processing and region just like with wines. Darjeeling (India) is slightly spicy, with grape and almond overtones, while Chinese types, such as smoke-dried Lapsang Souchong, tend to be earthier. Drinking black tea regularly, 3 to 5 cups a day, will reduce heart attacks and strokes, as well as lower your rates of lung and colon cancer. It may also reduce risks of diabetes and osteoporosis and also inhibit bacteria that causes tooth decay. Steeping time: Use boiling water that has cooled just enough to lose its boil and steep 3 to 5 minutes. These are fairly rare and expensive because they are only produced from new buds and leaves. White teas have a golden colour light body plus a pure “tea” flavor without astringency as well as a hint of sweetness. The leaves of White Peony open up and look like a peony when steeped, while Ceylon White (Sri Lanka) has pine and honey notes. White teas contain more of a flavonoid called epigallocatechin gallate compared to other true teas, which may help fight cancer and prevent heart disease. Steeping time: Use boiling water that has cooled for a couple of minutes (to about 185°F) and steep for 2 to 4 minutes. Green teas have a mildly glass, vegetal flavour, with a bit of astringent mouthfeel. Oversteeped brews can be bitter. Chinese types include Dragonwell, prized for its trace of chestnut flavors, and Jasmine (fragrant with added jasmine flowers). Try Japan’s smooth Sencha or toasty Genmaicha, blended with toasted rice grains. Drinking it is associated with lowering rates of pancreatic and colon cancers as well as reduce the risk or Alzheimer’s. The aromas and flavours of these teas echo the leaves, flowers, roots or seeds from which they’re derived. Chamomile has flowery, applelike notes while hibiscus has sour, berrylike fruit flavors. Chamomile tea has been long known to aid sleep and may also help in soothing upset stomach as well as calm colicky babies. Hibiscus tea is rich in vitamin C and may help reduce blood pressure. Steeping time: Use boiling water and steep 3 to 5 minutes. The flavour and colour of oolong tea can widely vary, depending on source and length of oxidation. Lighter ones like Pouchong, are just like green tea, while darker oolongs like Formosa have characteristics more like black tea. Studies suggest that this tea provides health benefits similar to black and green teas. A type of flavonoid in oolongs called chafuroside may help fight inflammation and help inhibit the development of intestinal cancers. Steeping time: Darker oolongs: same as black tea. Lighter oolongs: same as green tea. If you’ve got your tea and your mug and ready to relax, then brew your tea, use fresh water free of any odds tastes or odours. Use a teaspoon of tea on each serving, plus another for the pot. Pour water over your tea and steep accordingly. In a typical infusion, caffeine is extracted from the leaves first, normally within the first 30 seconds, while other more complex antioxidants will take a little longer. Remember that tea bags infuse quicker compared to loose leaf teas due to greater surface are. Always remember that loose leaf tea will keep for a few months or even longer if you will keep it in an airtight container in a dry, dark and cool place. Avoid plastic or glass containers as much as possible and also do not refrigerate or freeze your tea. Tea that’s mishandled or old will lose its aroma, colour and briskness. 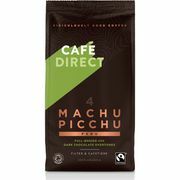 Where can I get cheap coffee?